It’s an exciting time for the food tech market. According to the State of European Food Tech Report by Five Seasons Ventures, €6.5bn of venture capital has been invested in food tech in Europe since 2013. 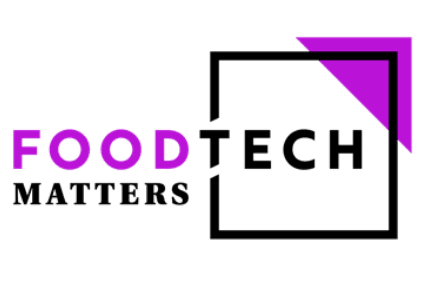 On 25-26 June in London, Food Tech Matters 2019 will connect some of the most disruptive start-ups in food tech with global brands, manufacturers and the investment community to form strategic partnerships to drive the sector forward. Built around the curated 1-2-1 meetings platform Food Tech Connect, the innovation meet-up is a unique opportunity for innovators to connect and foster collaboration with corporate spearheads, manufacturers and leading food tech investors in an informal, relaxed environment. Alongside the fantastic networking opportunities, the event offers a fast-paced agenda focusing on the hottest topics in food tech at the moment including the global food tech trends driving future investment and innovation, sustainable supply chain, food waste tech and the future of protein. It boasts an exciting speaker line-up including Corporate Innovation Directors from Nestle, Sainsbury’s, PepsiCo, Unilever, Carrefour Group and Danone, along with leading food tech investors including Five Season Ventures, who will provide expert insight on global trends driving investment and discuss where next for food tech. Leading food tech investors are on the programme including Ivan Farneti, Founding Partner, Five Seasons Ventures; Jewell Sparks, Founder and CEO, BiTHOUSE Group; Axel Wehr, Principal, Anterra Capital; Nadav Berger, Founder and Managing Partner, PeakBridge Partners; and Sara Roversi, who holds the roles of Founder and Chief of Social Mission at Future Food Network and President of Future Food Institute. The event is a great opportunity for early- to mid-stage food tech start-ups, which can gain inspiration from disruptors including Zina Mavroeidi, CEO at E-Fresh.gr; Tom Mohrmann the CEO at Protifarm; Philip Verey, Commercial Director for Winnow Solutions; and Jamie Crummie, the Founder of Too Good To Go. Start-up innovators can also compete for the opportunity to pitch their tech solutions to a panel of leading investment companies including Seedrs, Five Seasons Ventures and Draper Esprit, receiving expert advice after the pitch. Attending start-up disruptors include Protifarm, Wasteless, The Small Robot Company, The Meatless Farm, This.Co, SIGA, Smartwithfood, Mealz and Flexciton. Join the food tech community in London for two days of consumer insight panels, open innovation challenges, expert insight and, above all, to make valuable connections to shape the future of food.